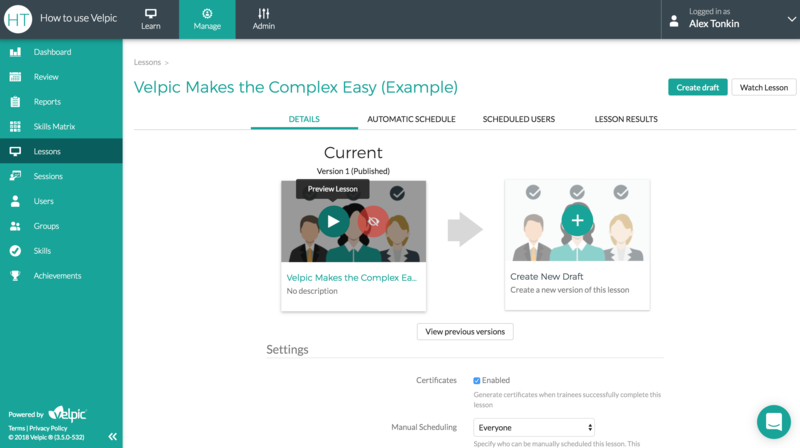 Distributing On Demand lessons for the first time. 2. 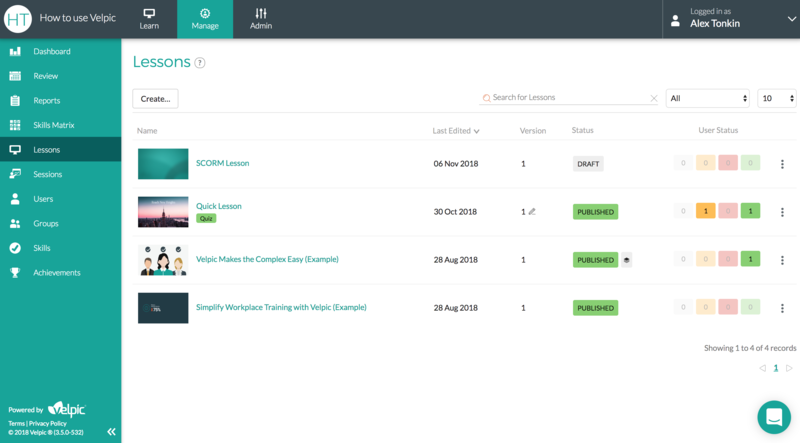 Click on the Lesson Name to open the Lesson Details page. For example, "Velpic Makes the Complex Easy (Example)"
3. To preview the lesson, hover over the left lesson card then click on the Preview Lesson icon. 4. Scroll down and check the "Add to Library" checkbox. 5. We can specify which user or groups can watch the lesson by changing the "Available To" option. We've just distributed On Demand Training for the first time using Velpic's Library feature.